Little Chatterbox for Kids is a simple language learning activity for the very young. Children choose from screens of scenes with related words, such as undersea animals, the home, the school, the zoo, or the forest. Within each screen, players can tap drawings of common items and hear the word in their native language and also in the target language. There are four games to use the words, as well. Little Chatterbox for Kids is a high-quality app that accomplishes exactly what it sets out to do – help young children learn words in any of eight different languages. It is easy to change both the native language and the target language. The words are clearly enunciated by the children teaching, and the videos of them saying the words are very helpful, as well. The four games are easy to play and will reinforce the skills being taught. Developers included a parents’ guide that explains the value of language learning and the importance of exposure for the very young. They make valuable suggestions about the best use of the app, including adults and children using the game together. They also have included a tutorial that plays when the app is first accessed. 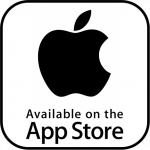 This app is very well-presented and very well-conceived for its target audience (toddlers and preschoolers). 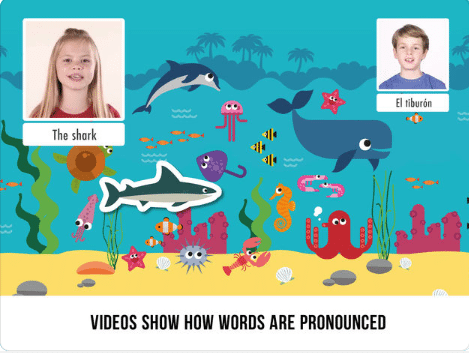 Developers’ efforts to provide videos of each word being spoken will help many young children mimic mouth movements to make sounds they are less familiar with. There is a lot of child-friendly content in the full version, and all of the video pronunciations are very clear. The activities in the app include free play where children choose words to hear in both languages and several matching activities that will reinforce the words’ pronunciation and written forms. Developers have chosen to include correct articles with each word, which is very helpful. Some languages use specific articles with specific words, such as Spanish that has gendered articles for inanimate nouns. Other languages use few or even no articles. 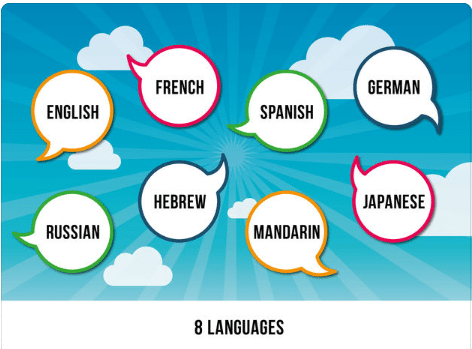 By including them, developers help children internalize some of the differences between languages. The app includes a mode where only one language is presented, as well. 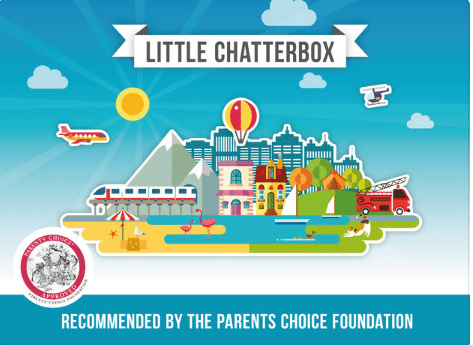 Little Chatterbox for Kids is engaging for the very young audience for which it is intended. 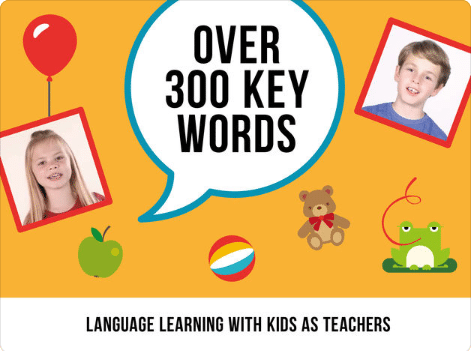 Each scene of vocabulary word pictures is colorful and inviting, and children will naturally touch items and consequently hear both the chosen native language and the target language. After choosing a few items and hearing the words, the app presents one of four reinforcing games that require finding or matching the word spoken by the video. The four games appear randomly and use the words that the user has been accessing recently. There are two games where words are spoken and shown in print that require kids to find the matching picture, one where the words are presented on cards in a memory-style matching game, and one where children match pictures to silhouettes and hear the word spoken. All are fantastic ways to reinforce the learning, engaging, and fun. The app is free to download a sample version that includes one screen full of words and the games. This is great because parents can see exactly how children will interact with it before they buy. There are protected in-app purchases of additional sets of words ($3.99) or all 16 sets ($9.99). This app is very child-friendly. All links, purchases, and so forth are well-protected, so little learners cannot access them.